The limousine crash killing 20 people last weekend outside of Albany is the deadliest air or land crash in almost 10 years. On Saturday Oct. 6, the SUV-style limo was about 25 miles outside of Albany in the town of Schoharie, in Schoharie County when it crashed into an unoccupied Toyota Highlander in a parking lot. Only adults were involved in the crash, 18 of the victims were in the limo including the driver. The group was celebrating a surprise 30th birthday party, and two couples in the limo were newlyweds. The Highlander struck and killed two pedestrians standing nearby the accident. The victims’ identities have not been announced by police. Steven Butterfield of Bardonia: Orangetown Police arrested a man at Nyack Montefiore Hospital on Friday Oct. 5 for punching a man in the head. The victim needed medical attention as the closed-fisted punch left the victim with a laceration. Steven Butterfield of Bardonia was arrest and charged with second-degree assault. It is a felony charge, since Butterfield attacked a medical professional. 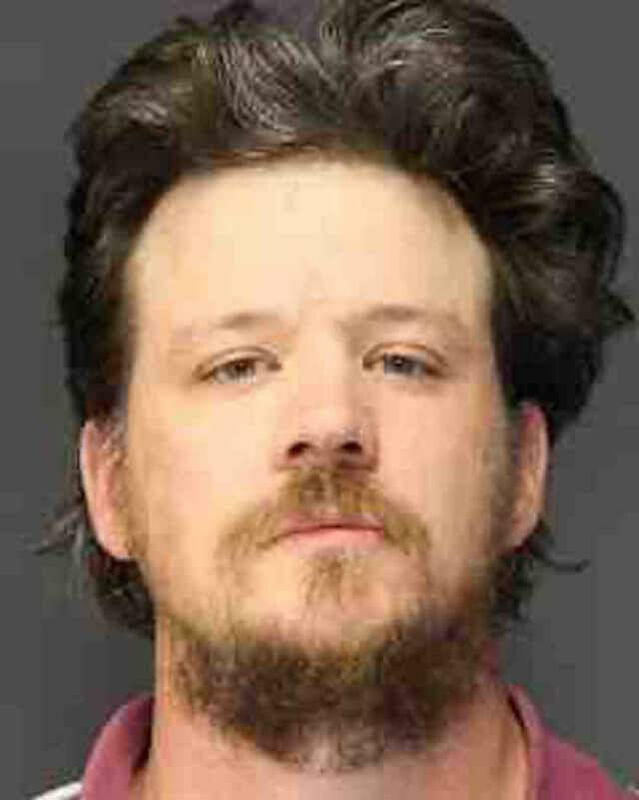 He has been remanded to the Rockland County Jail. A former Rockland County priest who current works in Westchester is under investigation for engaging in inappropriate behavior with a minor. Rev. Thomas Kreiser has been removed from his role at the Church of St. Joseph in Bronxville according to church officials. Joseph Zwilling, director of communications for the Archdiocese of New York, said the abuse claims are being taken seriously and have been shared with the police. Kreiser also worked at St. Patrick’s Church in Yorktown, at St. Gregory Barbarigo Church in Garnerville and as an associate pastor at Sacred Heart in Monroe. While in Garnerville he faced legal troubles related to theft and gambling. Owners of a Ramapo summer camp are suing the county, claiming they were targeted due to religious reasons and a health agency inspector made sexual comments toward the owner’s wife. Ephraim and Rivka Weissmandl filed a federal lawsuit against County Executive Ed Day. The pair claims the Health Department conducted unnecessary inspections and issued violations with fines greater than the recommended penalty. The Weissmandl’s are looking for more than $25 million in relief and legal costs. The county denies the allegations and claims the health department inspects campsites before the summer season begins. Dennis lynch, the Weissmandl’s attorney, believes Day has a history of using the ultra-Orthodox Jewish community for political gain, and the suit cites allegations about his administration wanting to stop the religious community growth. The couple has been operating two camps in Rockland since 2003, and the situation crosses state lines since more than $100,000 of income came from New Jersey campers. Their lawsuit also claims Rivka Weissmandl was sexually harassed in 2011 by a Health Department inspector. They believe the Health Department applied vague rules and discriminatory regulations to the camp. The 37-page lawsuit is set to be discussed in White Plains on Nov. 16. The Dow Jones dropped more than 800 points, or about 3%, on Wednesday Oct. 10 as the U.S. federal interest rate is expected to increase. Higher interest rates often making borrowing for car loans and mortgages more expensive. Tech stocks dropped including Netflix, Amazon, Google and Apple. The Standard & Poor’s 500-stock index also hit its longest losing streak in two years. President Trump blames the Federal Reserve, stating, “The Fed has gone crazy,” at a rally in Pennsylvania. He believes the Federal Reserve quickly increasing rates will slow job growth and job creation. While investors shy away from big tech, they are moving toward steadier stocks including utilities and consumer staples. The controlling lenders of the bankrupt toy store now plan to revive the business and brand names. According to the Wall Street Journal their goal is to “create new, domestic, retail operating businesses” while keeping some global licenses worldwide. Originally the lenders were going forward with a bankruptcy auction, but determined the band is too valuable, the Wall Street Journal also reported Toys R Us closing left an $11 billion hole in the toy industry. South Nyack and Grand-View-on-Hudson announced a new police chief, Daniel Wilson, after thoroughly interviewing three candidates. However, some are unhappy with Wilson’s former Dutchess County residency. His appointment came after he moved to Rockland to meet residency requirements. The police board had three top candidates including Officer Andrew Young and Detective James Coyle. The current law in both villages requires Rockland residency however the board was prioritizing top candidates over their residency. Grand View Mayor Larry Lynn believes the residency law is “illogical” and the villages are moving toward changing the requirements. RCC was recently named one of the five most welcoming schools for the LGBTQ community in the United States. Campus Pride, a national LGBTQ youth support and advocacy organization, makes a ranking list to help students feel most comfortable when deciding where to go to school. The “Best of the Best” list always included 25 top four-year college, but this year five two-year schools were included. Catherine Nowicki, a former high school teacher who served as a Rockland County legislator and Clarkstown councilwoman, passed away late last month. Nowicki lived in North Carolina and was 92-years-old. She was a Nanuet High School English teacher and served on the County Legislature from 1994 to 1997. Nowicki lead the Legislature’s Special Committee on Campaign Reform to set limits on spending and donations. She later served as a Clarkstown councilwoman, retiring in 2008.